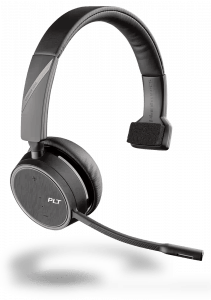 Plantronics Voyager 4210 UC - Headsets Direct, Inc.
Plantronics Voyager 4210 monaural headset provides crystal-clear audio with a flexible noise canceling microphone boom. 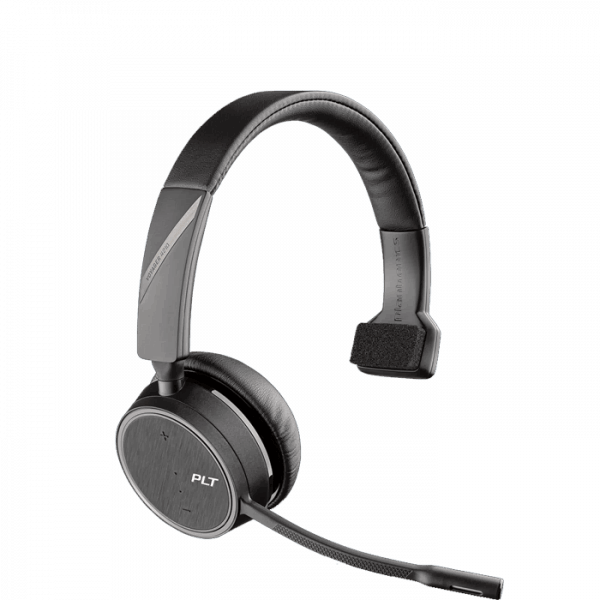 Enjoy wireless freedom where vibrant sound is with you every step within the headset’s 98 ft/30 m range. 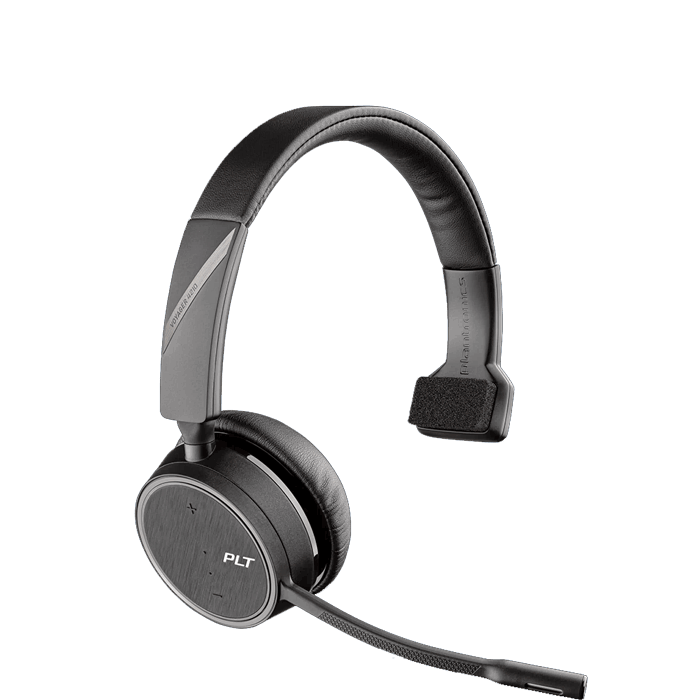 The Plantronics Voyager 4210 single ear USB & Bluetooth headset makes it easy to switch between PC/Mac and mobile devices, so it is easy to stay connected. With a dedicated mute button, voice prompts alert you if you start to talk while muted. Enhanced voice alerts update you with connection status, remaining talk time, mute status and more. Red call indicator light helps reduce interruptions from colleagues. You will also still hear incoming calls if you step away from your desk.